The following statement was released by Architects & Engineers for 9/11 Truth on December 18, 2015. Please share it on Facebook and post it in the comments section of the YouTube video and of the online news outlets listed below. Thank you for helping AE911Truth quell the misinformation! Much hay has been made in recent days about a YouTube video posted by a blacksmith named Trenton Tye, who tries to debunk the theory that the World Trade Center Twin Towers and Building 7 were destroyed by controlled demolition. 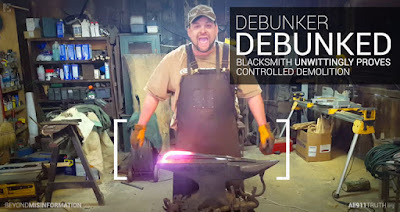 In fact, Tye's attempt to disprove controlled demolition by heating a half-inch piece of steel to 1,800°F and bending it like a “noodle” is way off. 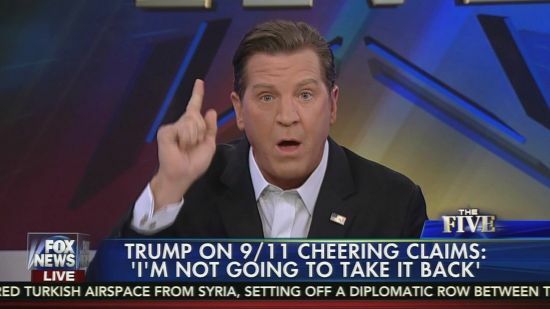 He seems to think the controlled demolition argument goes like this, “Fire can’t melt steel, so the buildings couldn’t have collapsed from fire.” He couldn’t be more mistaken. The only reason that melting steel is discussed at all is because government officials, engineers, first responders, and others observed large amounts of molten metal (requiring temperatures of more than 2,800°F) in the debris of all three buildings. Tye’s sixth-grade-level demonstration that structural steel loses strength at 1,800°F does nothing to address the presence of molten metal at Ground Zero. If anything, Tye proves that the fires in the World Trade Center could not have generated the molten metal that witnesses saw. What did? The only plausible explanation is thermite, an incendiary that can be used to cut through structural steel. 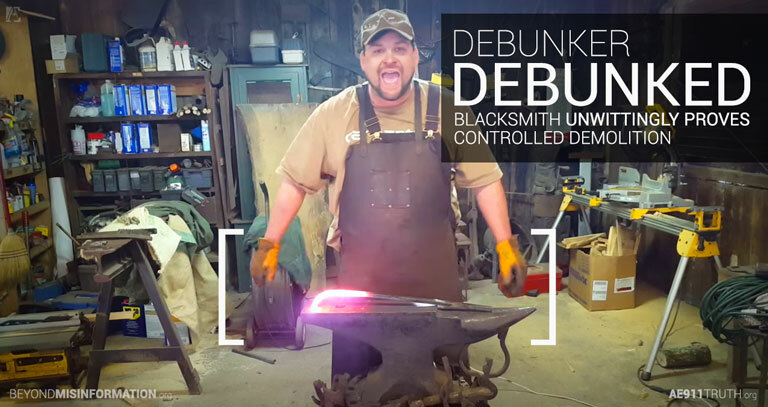 Putting aside the molten metal, Tye’s demonstration is wholly irrelevant for the simple reason that the fires in the World Trade Center could not have heated the structure anywhere near as high as the 1,800°F to which Tye heated his piece of steel using a furnace. Jet fuel fires reach temperatures of around 1,500°F only under optimal conditions. 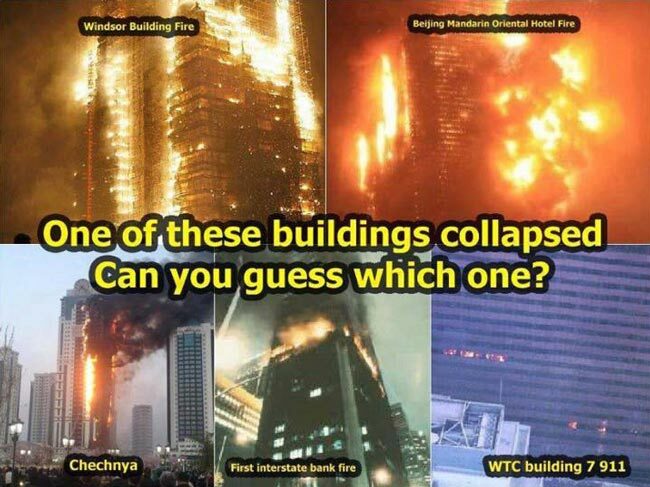 In open air conditions like the WTC buildings, they burn at around 600°F. Even according to the government agency that investigated the disaster, there is no evidence that any of the steel was heated to the point where it would lose its strength. There have been literally hundreds of hotter, larger, longer-lasting fires in steel-frame high-rises over the last century, and never has one caused the total collapse of a building. Tye’s simplistic logic implies that many of these infernos should have led to a total collapse. Of course, none has — and that also goes for the three steel-frame high-rises that were destroyed on 9/11. 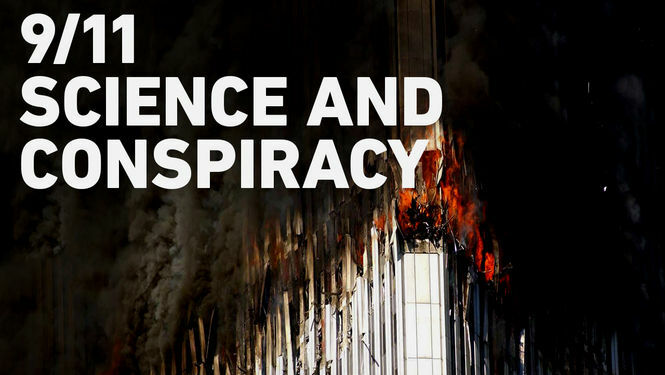 That this YouTube video has become an overnight sensation testifies to the alarming lack of journalistic rigor and scientific acumen with which the media has approached the debate surrounding the World Trade Center destruction on 9/11 — and to the rampant misinformation that has followed. 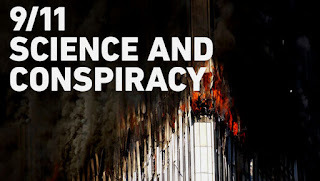 We encourage anyone who thinks there might be some validity to Tye’s confused science experiment to visit AE911Truth.org and to read our most recent publication, Beyond Misinformation: What Science Says About the Destruction of World Trade Center Buildings 1, 2, and 7, for real expert analysis of the evidence. Update 12/21/2015: I Noticed yesterday that the program was down to a rating of 1 1/2 stars. As of today, as far as I can tell, it has been removed from Netflix. If you have the Netflix streaming service, please join me in giving this program a one star rating! The only reason that melting steel is discussed at all is because government officials, engineers, first responders, and others observed large amounts of molten metal (requiring temperatures of more than 2,800°F) [https://youtu.be/9oVs_94VHk8] in the debris of all three buildings. The best thing about this propaganda video is that informed criticism of it will sink the idea that the WTC fire temps were hot enough to significantly weaken the steel of the towers, and revealing that the fires did not, and could not, melt steel (yet tons of melted steel was found in the debris). 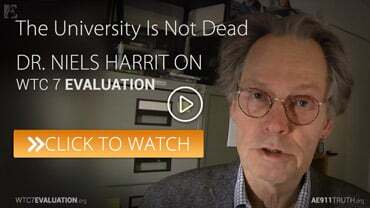 This 'debunking' video will backfire on the propagandists and allow a revisit of the topic - where those that don't understand the fundamental scientific evidence, proving the demolitions, will now have the opportunity to become educated. The errors of this faux analogy are so obvious that it becomes a handy teaching tool. 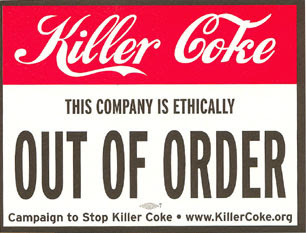 Labels: Why Debunkers Make Lousy Cops. Was the NIST WTC 7 Simulation Bunk? Suspects had a detailed model of WTC and binoculars; FBI said 'they knew' towers would be hit. Not only does this corroborate the previously known fact that muslims in Jersey City did celebrate the 9/11 attacks, it reaffirms that there was widespread prior knowledge that the attacks were going to happen. If a group of unconnected people in Jersey city knew the exact target and time of the attacks before they took place, then it is simply unbelievable that the US government did not. Donald Trump Surprising Endorsement Louis Farrakhan "Wars Create Hatred of America"